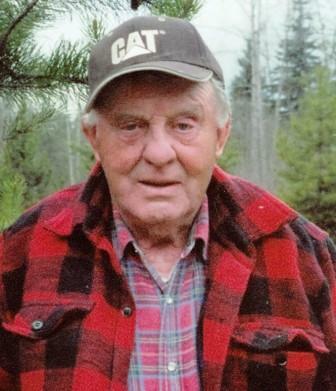 Ernest Otto Graffunder, better known as Ernie, of Vavenby, British Columbia, passed away peacefully at his home in Forest View Place of almost 2 1/2 years on October 24, 2015. He was 89 years of age. A celebration of Ernie’s life and his legacy will be held on Saturday, November 7, 2015 at 1:00pm at the Vavenby Hall in Vavenby, British Columbia. The family is requesting that if you are attending please dress warm for the short outdoor procession and toast prior to the service. Bring your stories and your memories of Ernie to share and stay for an afternoon visit. Condolences may be sent to the family via www.NorthThompsonFuneral.com. Our most sincere condolences to Ernie’s family in your great loss. Ernie goes back in my memories some 68 years. He worked with my grandfather Harry Nott on a number of forest fires as well as other places. He always had patience and a kind word for me even as a youngster. He was and always will be a very big man in my memories. Murray (Ray) MacKenzie & Laura. Ernie was a sweet guy, I saw him almost everyday over the last couple of years. We talked about the old farming days or sometimes just a quick hello.. Ernie and my dad were table mates for a long time. My heart goes out to all the family.